After my recent track day at Nelson Ledges it become quite apparent that my 2-ton Audi was going to need some better brakes. 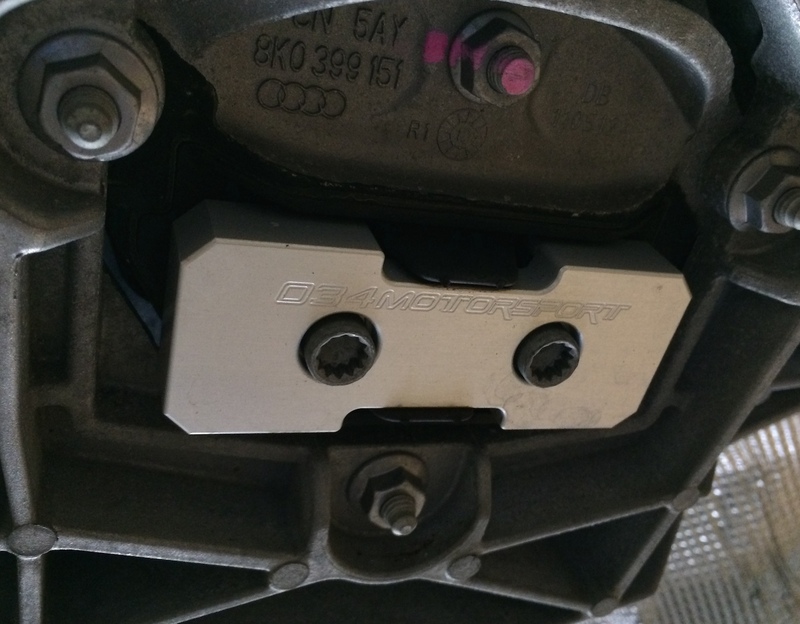 In this installment of my blog I talk more about my car and explain the decisions made on upgrading the brake components on my 2013 Audi Allroad. 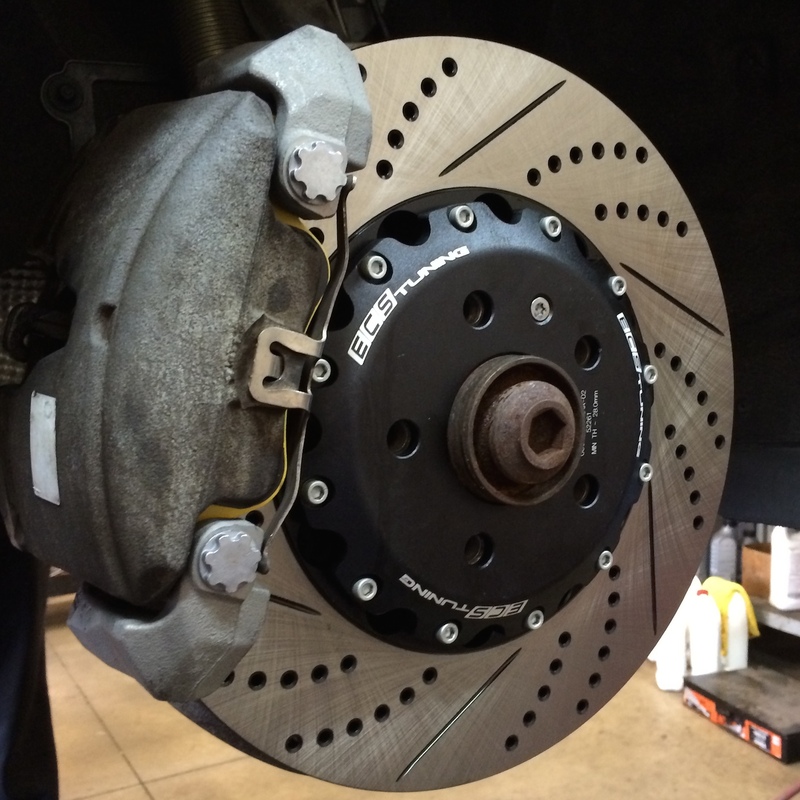 Most people would be happy with their brakes on any of the current Audi line-up. 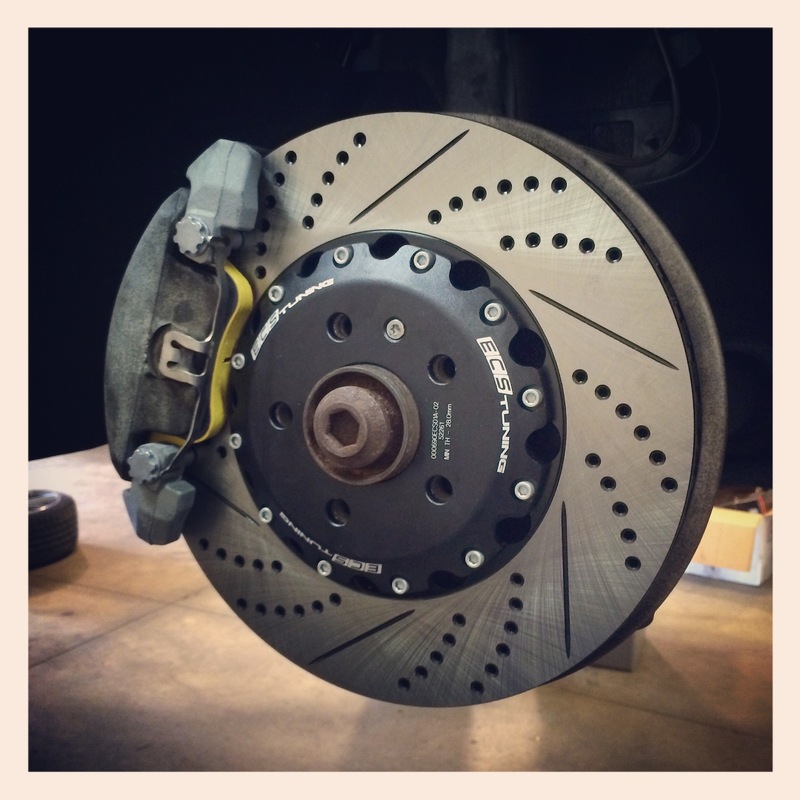 Not only do the Germans do a great job engineering motors and chassis, they typically do a fine job on braking too. But for someone coming from performance cars like my Audi S6 sedan, my desires definitely rank higher than the average bloke. Add in a lapping day at a local race course and it was inevitable I was going to want more performance sooner or later. If money were no object I’d be purchasing a Brembo GT Big Brake Kit but sadly money doesn’t yet grow on any tress in my yard. Hence my budget limited me to a more modest setup. 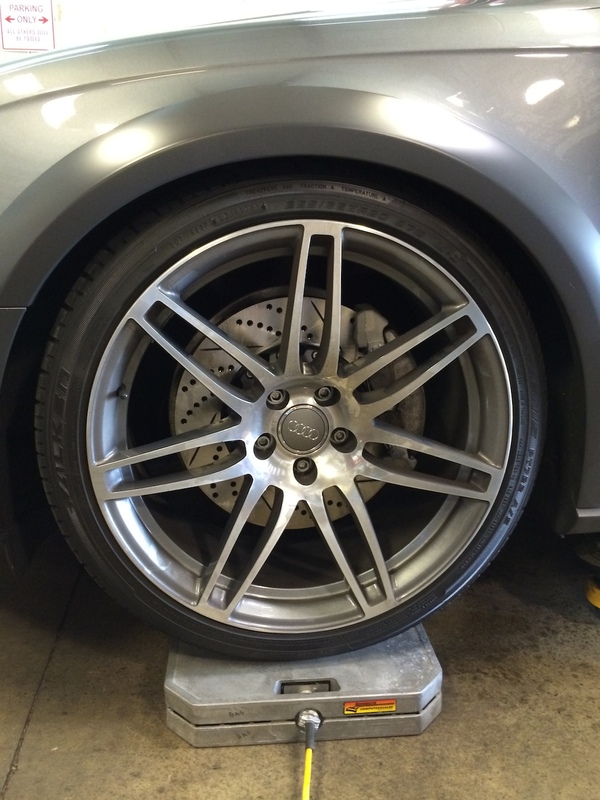 After researching the B8 chassis I became aware that the Audi S4/S5 vehicles have the same caliper as my car, but with a 25mm (1-inch) larger rotor. 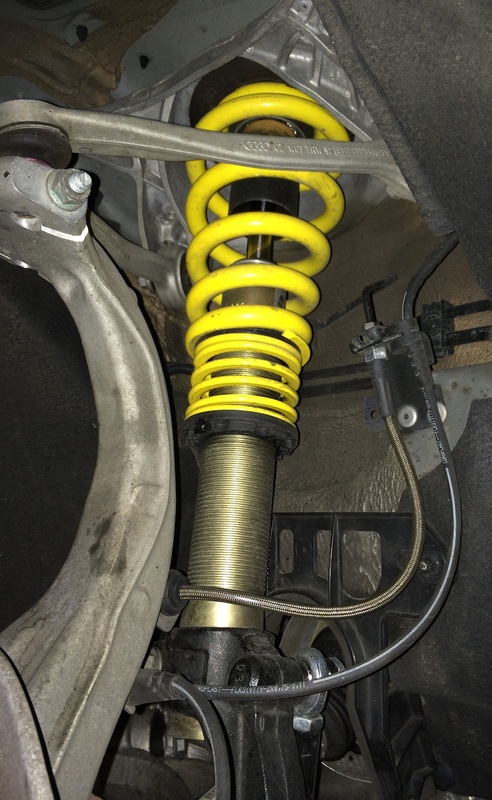 This creates better cooling and more clamping leverage, improving the braking suffice to handle a car making more than 100-horsepower than mine yet weighing similarly. Upgrading to S4/S5 brake setup was a logical answer, and lucky for me ECS Tuning sells a variety of kits that include the necessary caliper carrier for the larger rotors. You can pick from a variety of kit versions, from plain rotors, to drilled and slotted, to their top-level two-piece drilled-and-slotted kit. In my case I opted for the two-piece rotors for maximum cooling with hope it would bring me the maximum performance too. When you compare the pricing of their kits against competitors, ECS easily comes out on top with the cheapest braking components around. And the best part was that my order, placed around noon one day, arrived on my door-step less than 24-hours the next day (shipped the same day I ordered)— allowing my impatient self quick return on investment. After running Hawk HPS pads on the track and being sorely disappointed I began to research what others were using. Many Porsche and BMW forums had active track (HPDE) attendees, and many of them raved about their results with the EBC YellowStuff pads. Additionally, an E36 BMW driver who I spoke with at the track during my recent lapping day also recommended the yellows. EBC makes both FRONT and REAR pads for my car, so I ordered up a set for both axles. After realizing that the lowering was causing improper angle, sway bar end links were installed to realign the sway bar to the control arms. While under the car the inexpensive addition of the 034 transmission insert and APIKOL rear differential mount stiffened things up a bit, making the car crisper during acceleration/deceleration and gear changes. Lastly, a used Stasis 28mm RSB was sourced on the AudiZine forums for cheap, and helps the car rotate better while on the track (many of these items were installed prior to my track day). With the larger rotors and more aggressive pads on the car a nice set of stainless steel lines were in order. 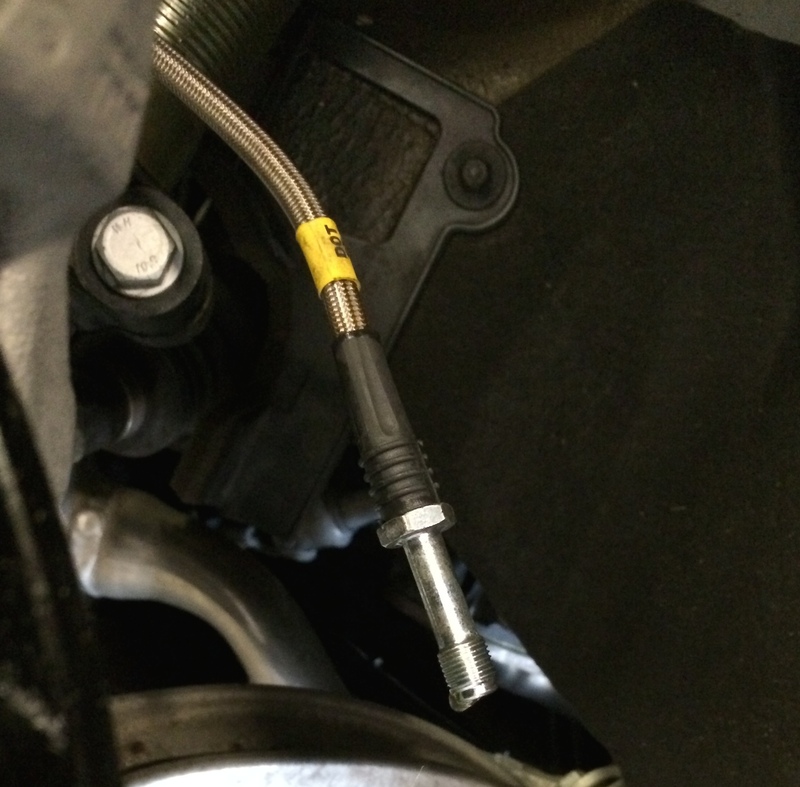 So long as the fluid would then need flushed an upgrade to Motul 600 was also performed. ALL of the work shown here was performed by the skilled hands of HS Tuning, located in Westlake, Ohio. Many thanks to Jeff, Ken & Nate at HS! Although my lapping times improved about 1-second per-session, I still definitely noticed heat soak occurring on the course. Hence I recently ordered up a 034 Motorsports Front Mount Intercooler (FMIC) upgrade, and will be sure to post more about that in the near future once it arrives and is installed on the car. SIDEBAR: After experiencing just enough rubbing to drive me nuts, the ECS spacers that had been on my car have since been removed. It wasn’t going to cause any damage on surface streets, but the added offset at current ride height could have been bad for the fenders on the track. Plus the car sounded like a hooptie! With the spacers removed I was able to retain the ride height and eliminate the rubbing issues. While not as aggressive looking the car now drives perfect, on the street or on the track! As noted above installation was done at HS Tuning here in Cleveland, Ohio. While there I snagged a few photos to show off the stainless lines, the bigger front brakes, and also a shot of the suspension. I’ve also added a photo of the 034 trans mount installed, for fun. 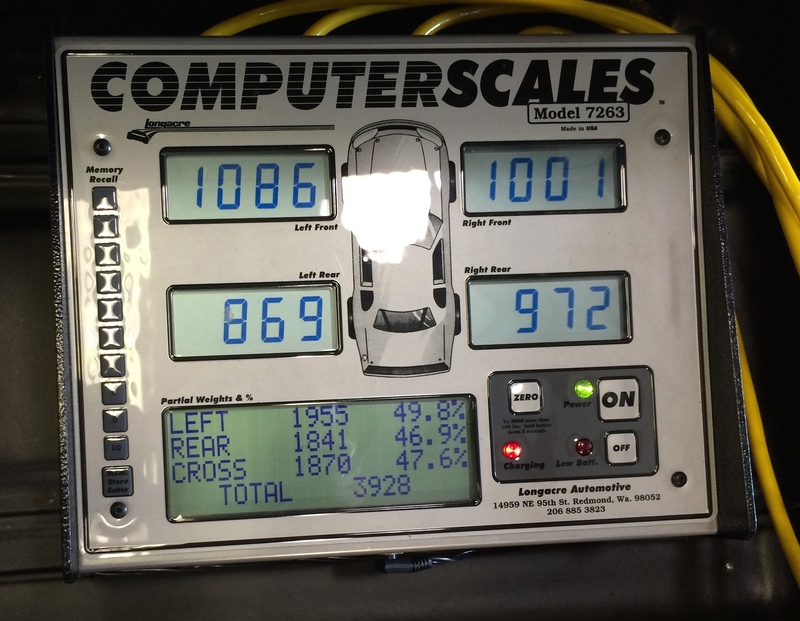 Recently the guys at HS Tuning acquired a set of corner-scales, so that if you wanted to properly dial in your car for perfect weight distribution you could. Although we had no plans to change the coils (maybe down the road if I get that crazy), my car did have an almost full tank of gas and after chatting about it we were all very curious how accurate the published curb weight was on my car. It was also a curiosity as to how front/rear balance would be given the rather “pushed forward” position the motor sits on B8-chassis cars. As the photos below will show (one photo showing the car on the scale, another showing the display itself), my car weighs a wicked-heavy 3,928 pounds. Compared to Audi’s own 3,891 pound claim (which is probably dry), these figures make good sense. Based on this then my car is just over 2-tons when I’m in there tooling around the track. Also note that the front/rear balance is fairly decent– better than a B5 S4 2.7TT that had been on the scales recently, according to the guys at HS Tuning, which was more front-heavy. Perhaps that is one advantage then of a wagon, putting more weight over the rear wheels. Nice allroad! 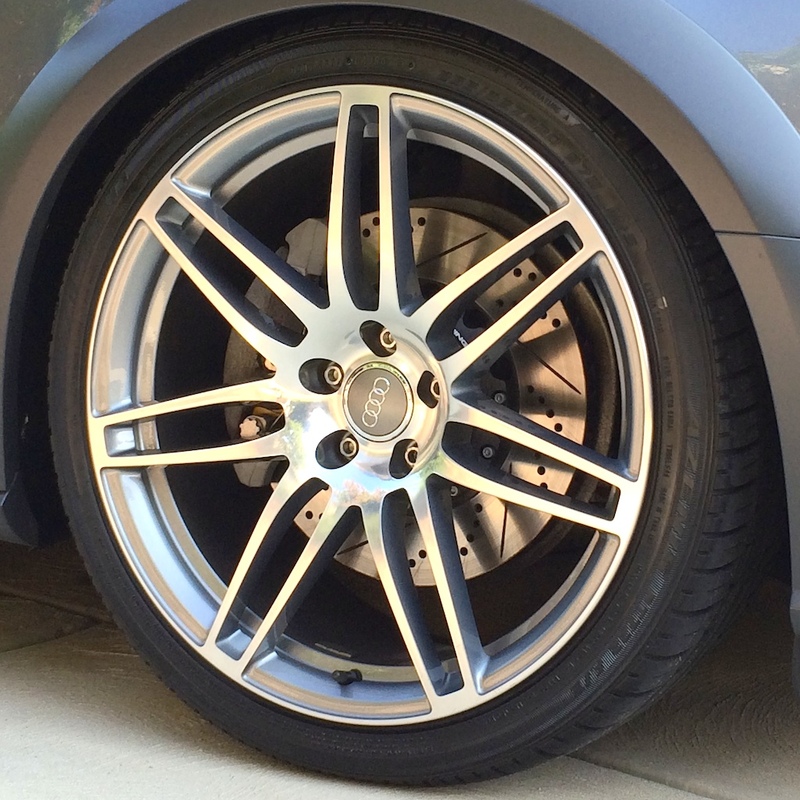 I’m looking to do the same brake upgrade on my allroad and keep the stock 18″ wheels, is there enough clearance for the s4 brake package? You should contact someone like ECS Tuning. They have a lot more experience than I do with this. I believe some 18s clear and some don’t. Check with them for the best options. Another good source of info is to visit Tire Rack. If the S4 year offers an 18″ option then you should be safe.